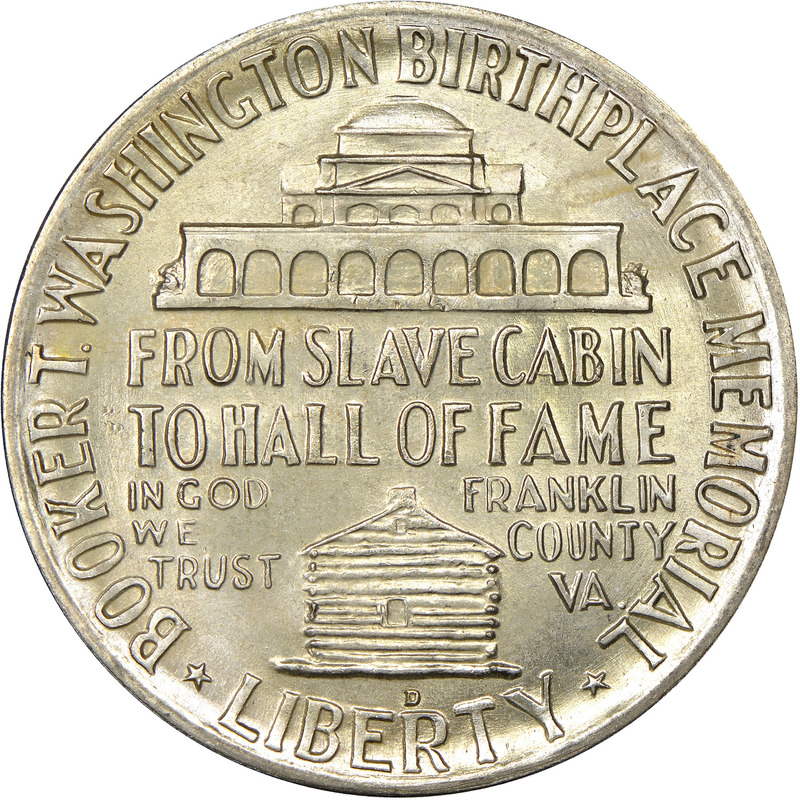 Due to his place in American History, the Booker T. Washington Birthplace Memorial Commission looked to strike a commemorative coin in his honor. They hoped to raise funds for the purchase and maintenance of his birthplace in Franklin County, Virginia. 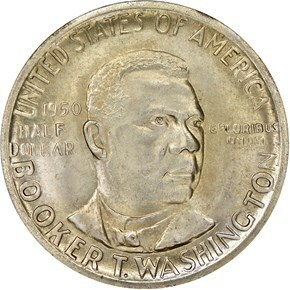 They were successful, and legislation was passed on August 7th, 1946 authorizing the mintage of up to 5 million coins. There were no stipulations placed on date and mint, an oversight that the Commission took full advantage of over the course of the following years. The Commission hired sculptor Charles Keck, creator of the Panama-Pacific gold dollar and Lynchburg half, to design the coin. He submitted his designs which were approved by the Mint. However, unbeknownst to him or the BTW Commission, African-American artist Isaac Scott Hathaway learned of the program and offered up his own designs for free. Not knowing all of the facts, the Commission of Fine Arts approved Hathaway’s models. These were to be the designs that were put on the coin, and Keck’s were not used. The coin’s obverse features a three-quarter facing bust of Washington. 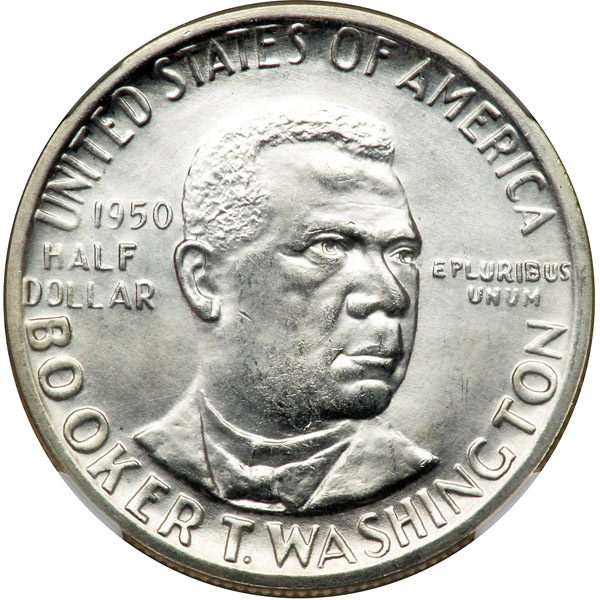 Below this is his name BOOKER T. WASHINGTON, while above is the legend UNITED STATES OF AMERICA, both arranged in peripheral arcs around the coin’s border. To the left of Washington’s portrait are the year of coining and the value HALF DOLLAR, while the Latin legend E PLURIBUS UNUM is placed to the right. 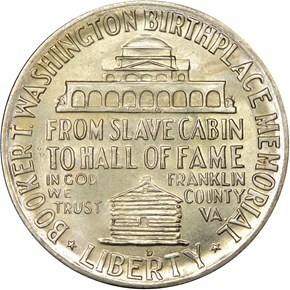 The reverse features in large letters the inscription FROM SLAVE CABIN TO HALL OF FAME. Indeed, both are depicted, New York City’s Hall of Fame colonnade above, and a generic slave cabin below. Squeezed into the spaces at left and right of the cabin are IN GOD WE TRUST and FRANKLIN COUNTY VA, respectively. 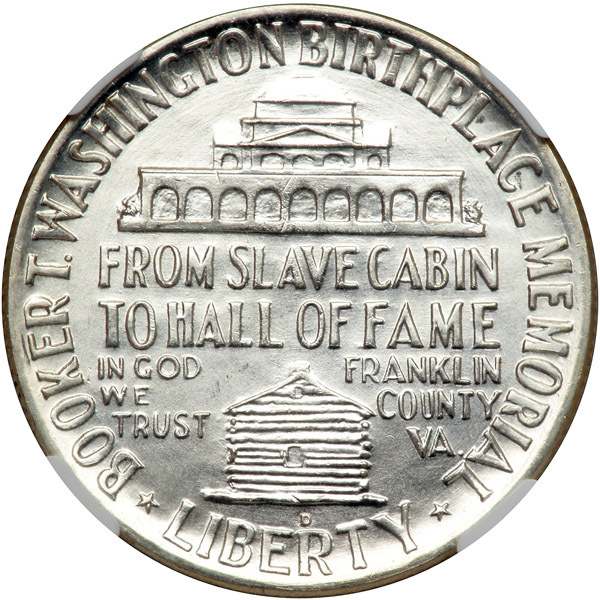 Below the cabin is yet another statutory motto, LIBERTY, flanked by small stars, while the words BOOKER T. WASHINGTON BIRTHPLACE MEMORIAL are arranged in an arc inside the upper periphery. For the initial offering year of 1946, 200,000 sets were issued, and an additional 800,000 coins were minted in Philadelphia. While many of these coins were likely melted in 1951, no records were kept as to the quantity of each date and mint mark that were destroyed. Sales were abysmal, and many coins were either released into circulation or melted. Nevertheless, all three mints coined this type annually through 1951 in ever-diminishing quantities that went straight to speculators and those few collectors who stayed with the program each year. Only the 1950-S and 1951(P) coins had significantly larger mintages, around half a million each, but again these coins were mostly returned to the Mint in later years for melting. 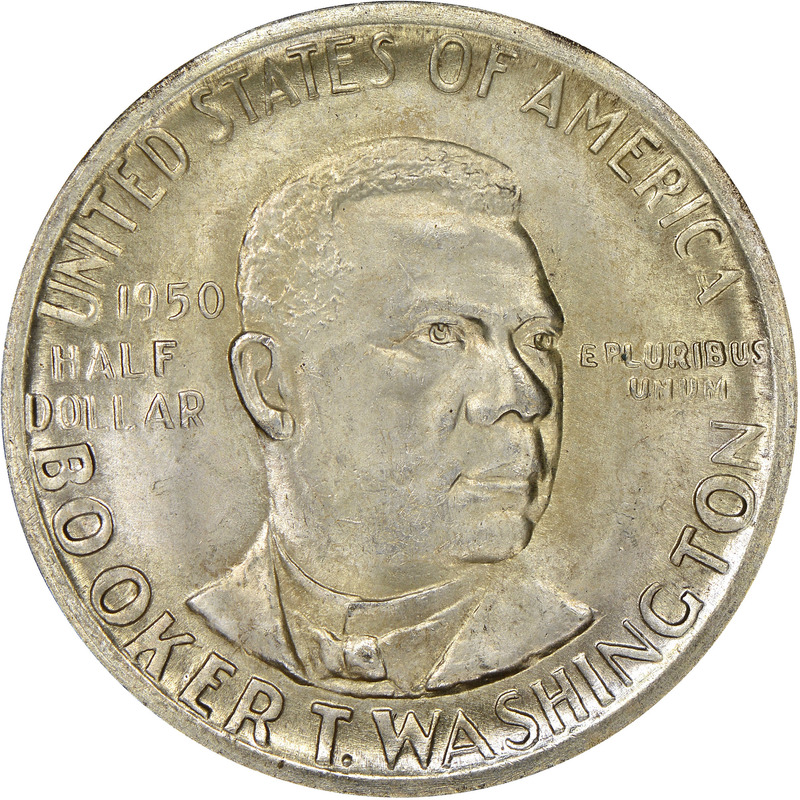 All Booker T. Washington halves minted after 1946 aside from the 1950-S and 1951(P) issues are better coins price-wise due to their significantly lower mintages that range from 6,000 to 8,000 coins each.